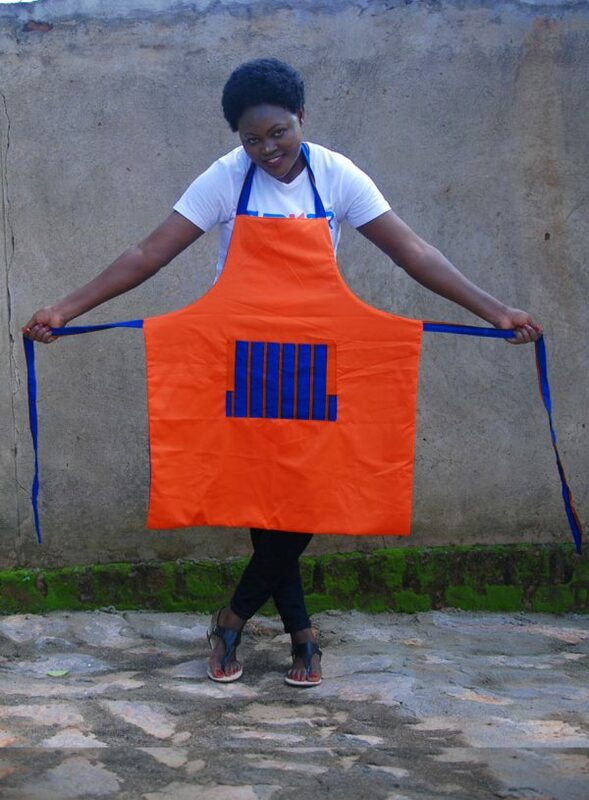 Aunt Tina’s unisex kitchen 2 face Apron. A timeless look with durability and strength. Product washing and care information: Wash by hand. Cotton Ankara fabric with a blend of gentleman’s plain fabric. 1 day to a week depending on how many needed.